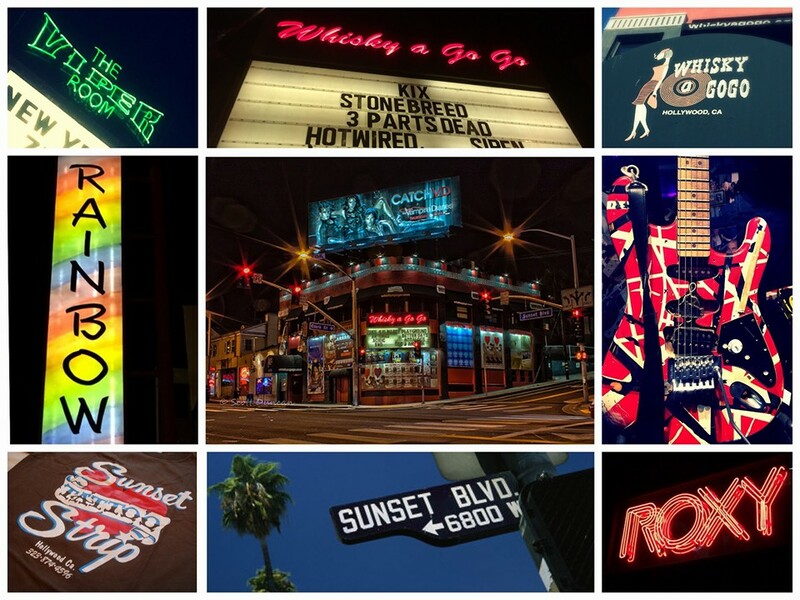 If you love Rock n Roll then you've heard of the Sunset Strip in West Hollywood, CA.! Well, I, too, love Rock N Roll and I've most definitely heard of it and many things about it. This is why I'm currently working on planning my 43rd birthday around the iconic, Sunset Boulevard come January, 2017. I don't want to get ahead of myself here but, I'm hoping that you'll see many future posts from me about the fascinating area as I plan to try and travel from Tennessee to California and spend at least a few days celebrating in such places as The Rainbow Bar and Grill, better known as the Rainbow Room, I believe; as well as the Whisky a Go Go, The Roxy, and more! My ideal stay would be somewhere not too far away such as, the equally iconic Beverly Hilton, famous for many, many gatherings and stories right out of a Hollywood movie scene.